No business engages in any form of marketing in order to actively harm its own reputation, but without the right professional advice that is exactly what can happen. As most readers will know, we have been steering our clients away from review sites for some time now. Mostly because they have significant disadvantages when compared with professional review management. But professional review managers like HelpHound have another role to play as well - we are here to prevent our clients from unwittingly doing themselves harm. Unmoderated comments like these are the last thing a business needs to be hosting on its own website. 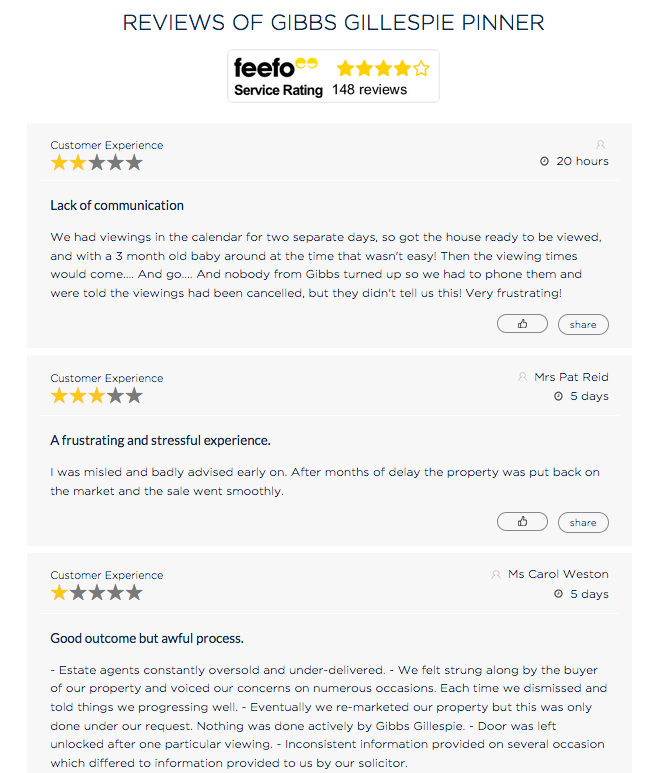 Everything we do here at HelpHound revolves around honesty and transparency, but this type of system does not lend itself to complex technical and high value/high stress transactions such as property sales. This is a screenshot taken from the business's own home page. 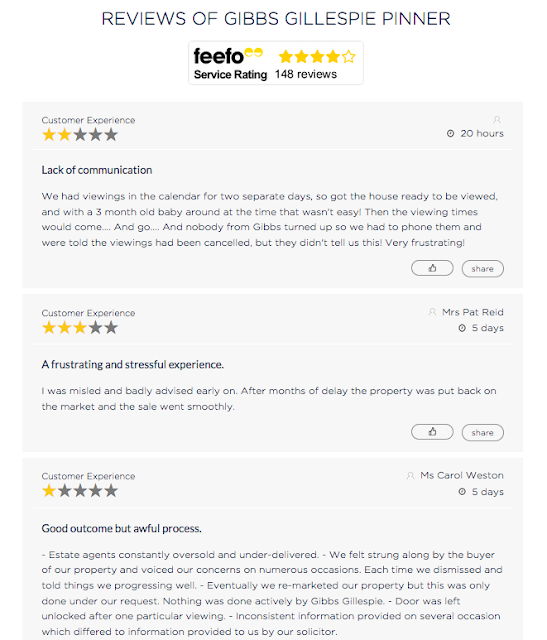 We have said it before - and we do not apologise for saying it again - high value businesses (like estate agency, wealth management, legal and accountancy services, to mention just a few) need moderated review management. 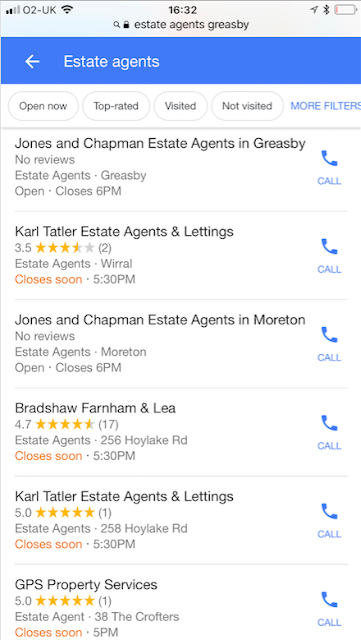 No star rating in organic search, no link to their reviews there or in the Knowledge Panel, and no reviews at all in mobile search (ironically, probably a good thing in this case). 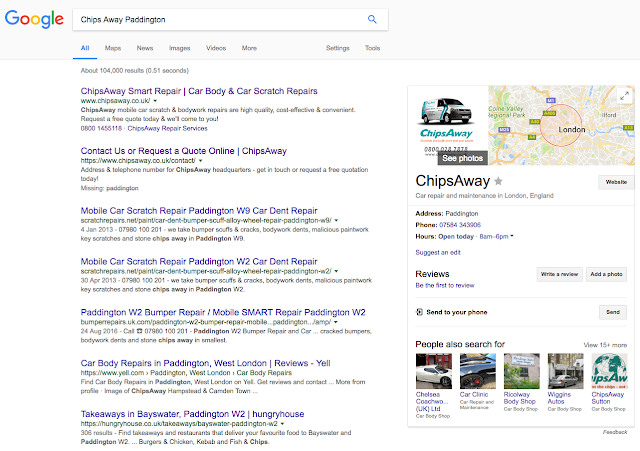 Note: update July 2018 - this business now has nearly three times as many Google reviews, which suggest that they have realised the error of their ways. 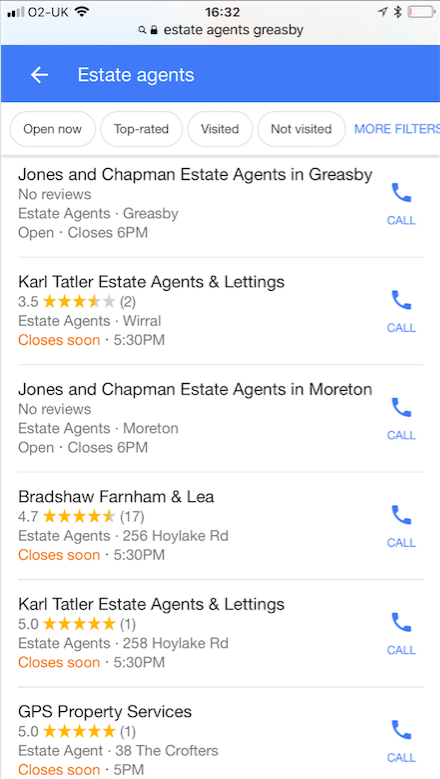 This business - Karl Tatler estate agents - has nine Google reviews across four locations, less then two per office; here is the all important local search. Unfortunately they bought (or rather - were sold) an independent reviews solution (we have reason to believe that they were told 'Oh! Google reviews are so hard to get') and they now have over 150 reviews on a site that shows on their website and in desktop search, but not in mobile, where Google completely dominates (and over 70% of their prospective customers are looking). Try the search for yourself. 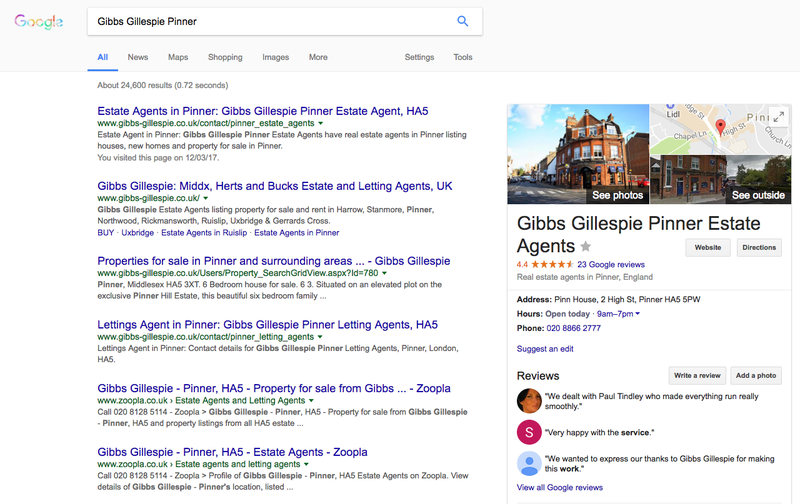 If they had taken professional advice on review management we have no doubt whatsoever that both the locations shown here would have upwards of forty Google reviews each - and how impressive would that be looking against the local competition? ...combined with a system of moderation that allows the business and their customers to ensure, in away that is fair to business and consumer alike, that misleading and inaccurate reviews are not posted publicly on the web. And this can only be had through professional review management; that way the business ensures its reputation is protected from unfair, inaccurate and misleading comments that benefit no-one, neither the business nor its prospective customers - anywhere: on its own website, on Google and right across the web. 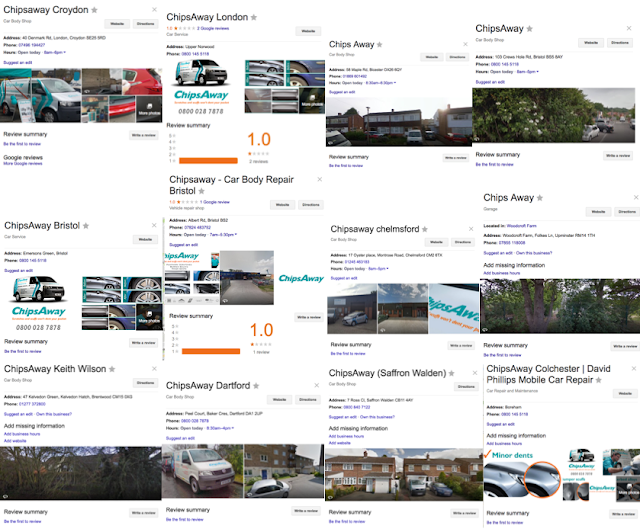 Chipsaway are a national franchise of 200 operators who will repair parking damage to your car's paintwork and wheels. 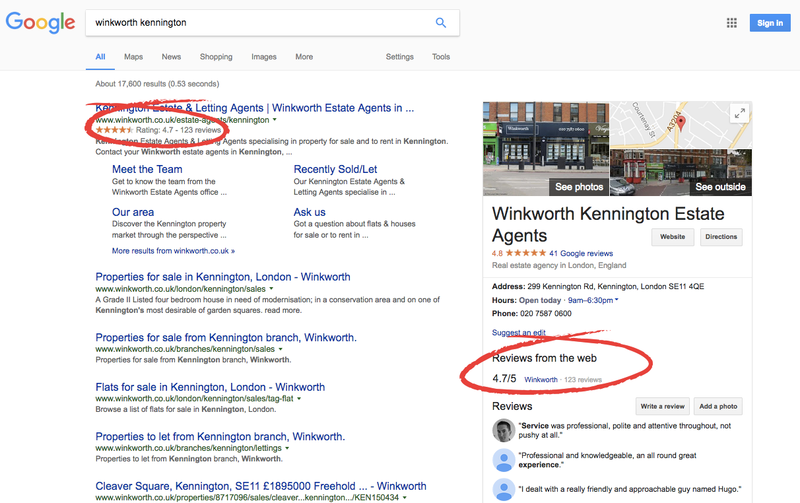 But what about on Google - where all their potential customers are searching? The message? Professional review management pays dividends - especially for high-value service-led businesses - in both the short and long-term. It guarantees your business maximum visibility whist minimising the risk of unfair harm to your business's reputation. 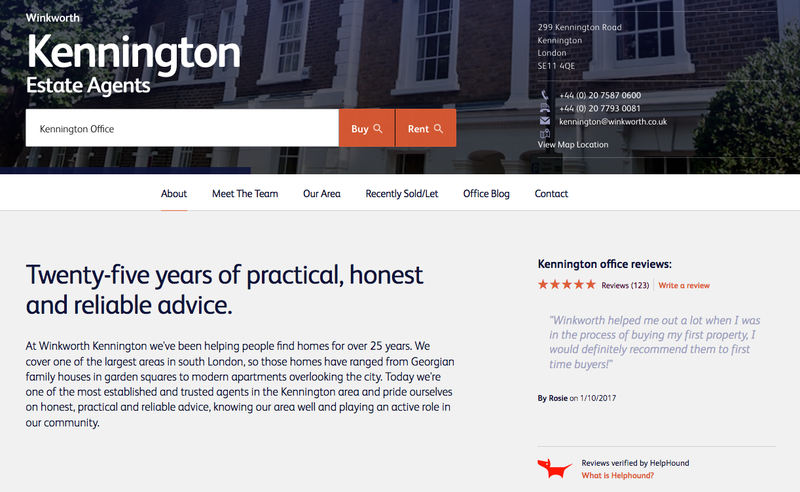 It also gives your potential customers reviews, again: on your own website and on Google, that they can trust. As a client said recently: "It costs us the same as the office round of coffee from Costa every Friday". Surely a small price to pay?